It was a gorgeous day at the farm. Very sunny and warm…by the fourth glass of wine, I felt the sun in my bones, but I didn’t care. 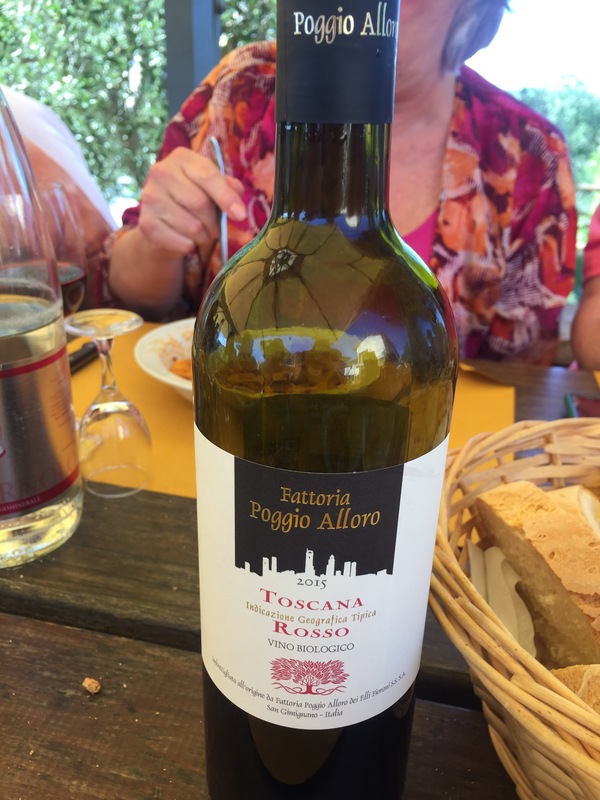 I was having the best lunch ever, on a beautiful hillside 2 km outside of San Gimignano, at Fattoria Poggio Alloro, a working vineyard/farm in Tuscany. 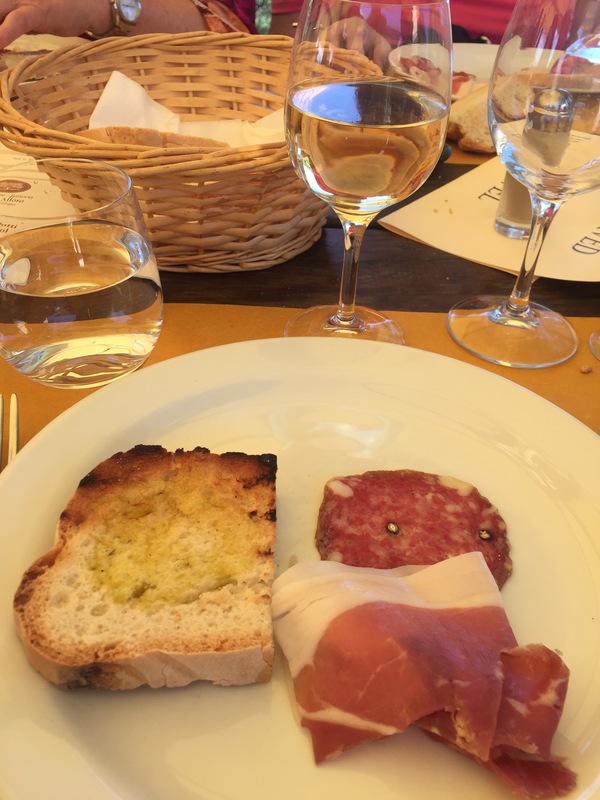 This 3-hour “light lunch” outside began with antipasti: bruschetta (bread with fresh garlic, diced tomatoes and basil with homemade olive oil), a meat and cheese plate (prosciutto and salami, from pigs from the farm), toasted bread with olive oil and mozzarella (I didn’t eat), and a serving of white wine (Vernaccia di San Gimignano). 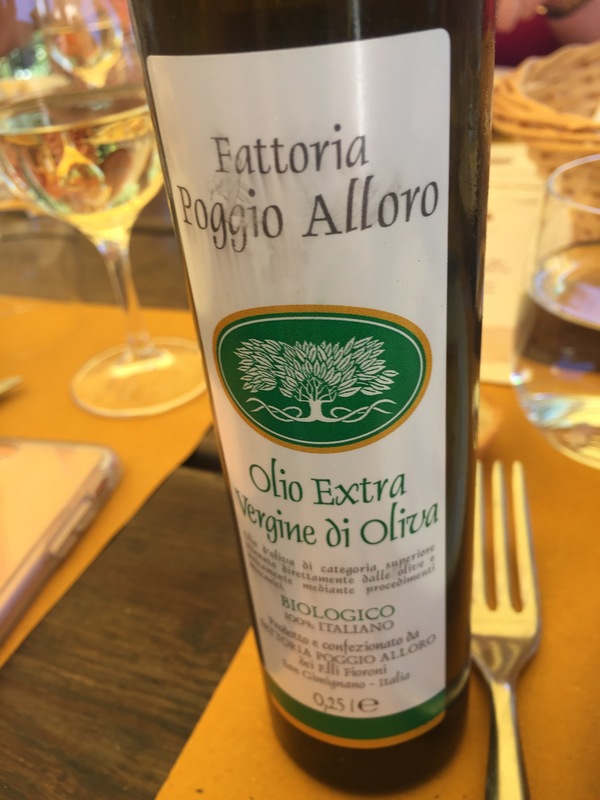 The olive oil alone was liquid gold. 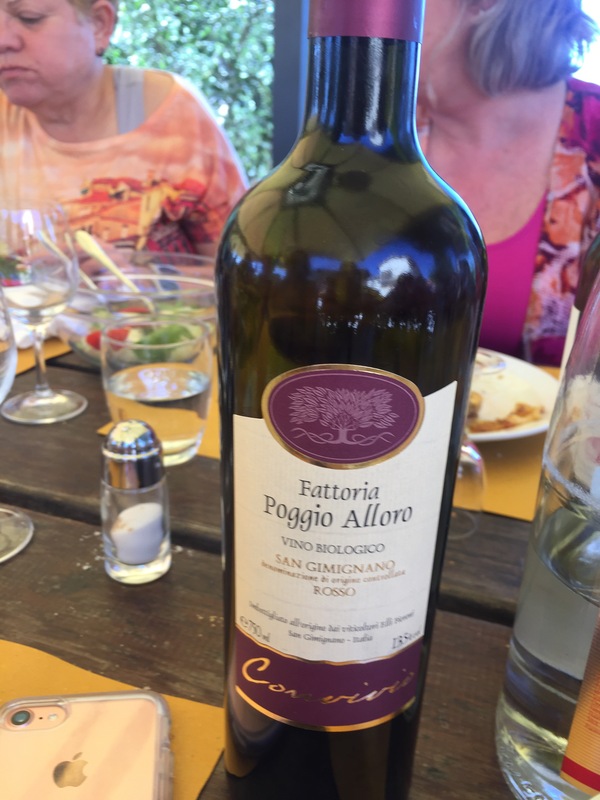 I made a mental note to buy a bottle for my very own…the salami and prosciutto was amazing as well. 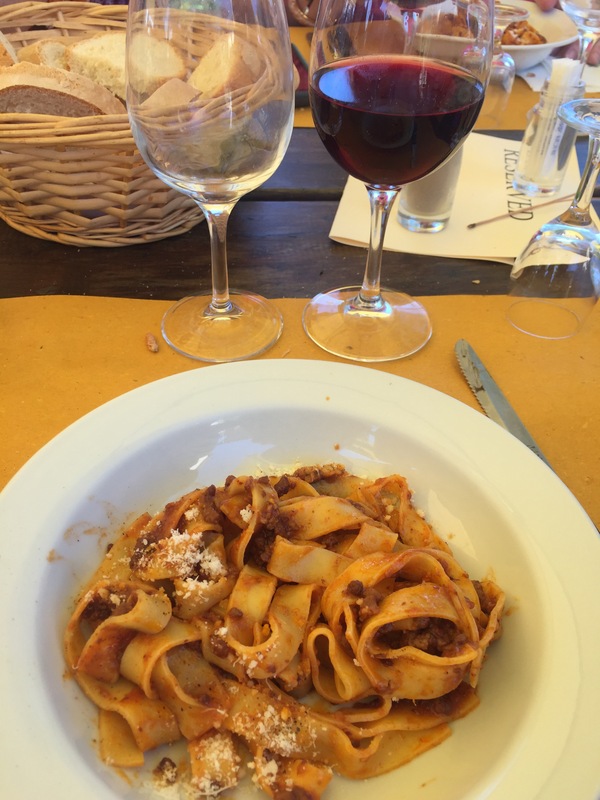 The primi platti (first course) was fettuccini with beef and tomato ragu ; the noodles and the beef were made here. Peccerino cheese on the side. 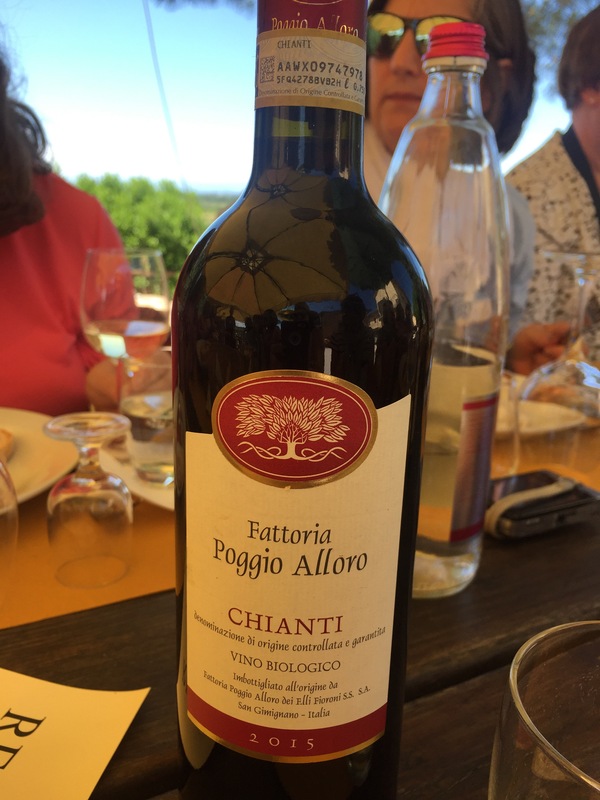 A nice 2015 Chianti rounded out the pasta course. 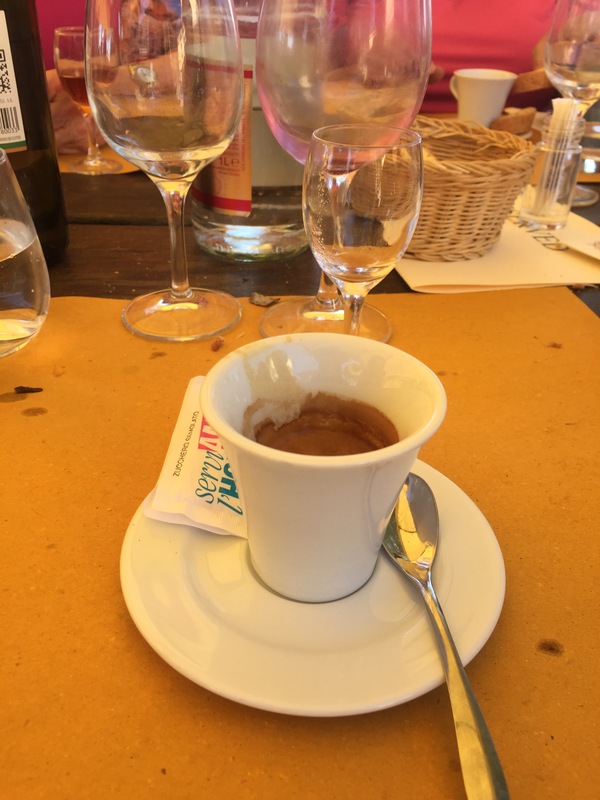 (By this time, the wind had picked up, and it had toppled over my roommate Jen’s glass, splashing the Toscana Rosso (2015) upon her shirt and canvas shoes. The stain never did come out of her shoes; she calls it now “a great souvenir”. Jen’s awesome…so was the glass of Toscana Rosso. 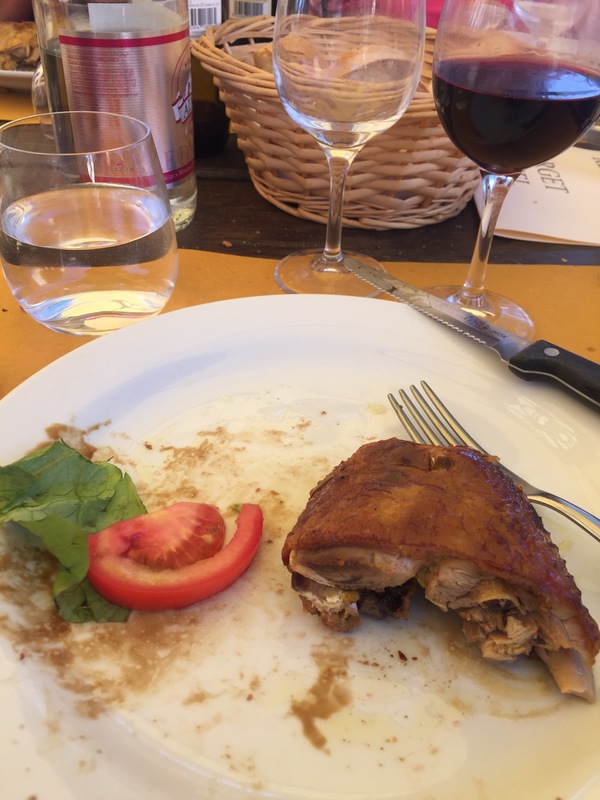 The secondi platti (second course) featured wonderful roasted meats, chicken and pork (plus, a third red = Rosso “Convivo”), plus a green salad. And dessert? 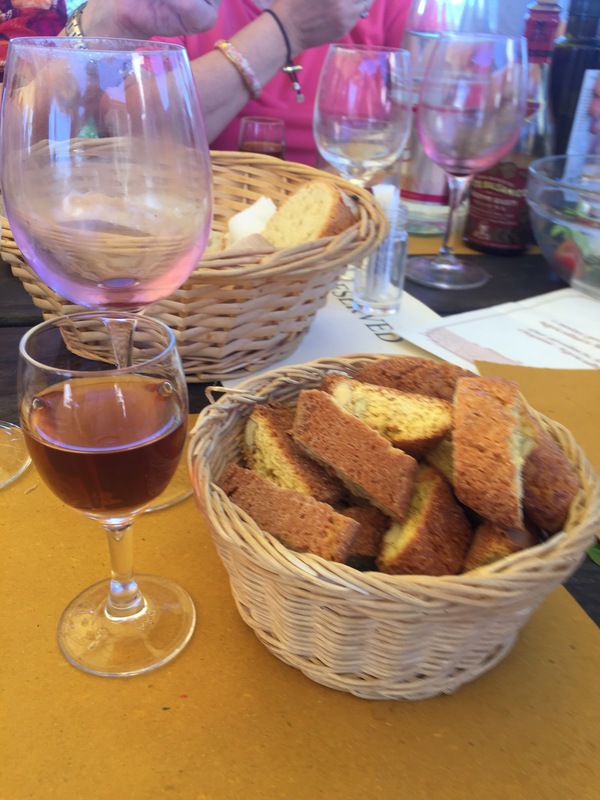 Biscotti dipped in more liquor: Vin Santo del Chianti, or a sweet wine. After lunch, I was ready to buy the whole store, until I found out if you want to ship wine back the States, you have to order at least 10 bottles at a time. Nevertheless, even after a hour-long walk in neighboring San Gigignano, and some gelato (hey, it was hot outside! ), I didn’t eat for the rest of the day. Do you blame me? 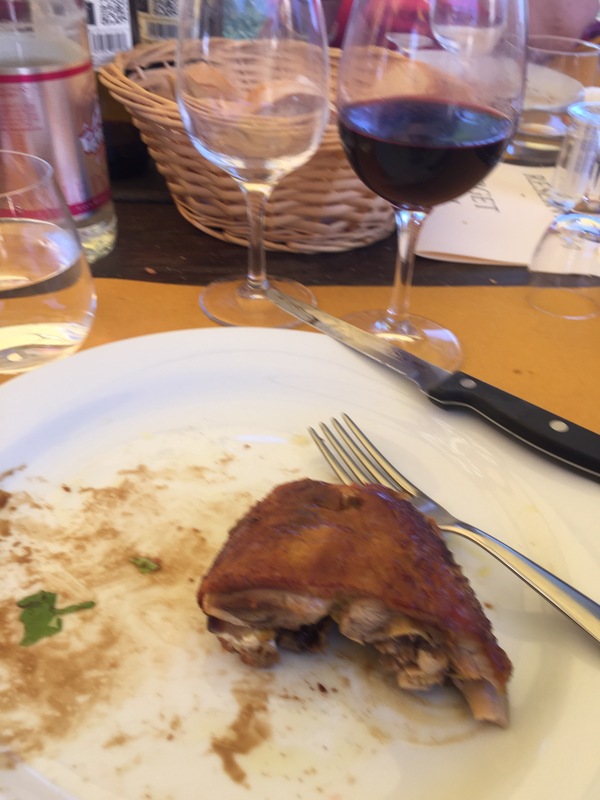 Next Post The Hungry Librarian Abroad: To all the dishes I’ve loved before…but I still can’t recall : in Venice (5/17/17), in Florence (5/20/17) and in Sorrento (5/22/17). Love it! Thanks for the memories!! !